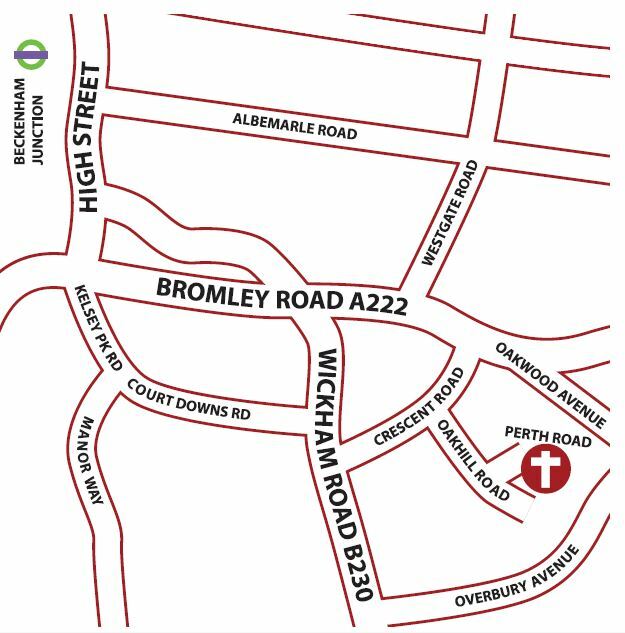 For all general enquiries, please contact the church office, at enquiries@stbarnabasbeckenham.org or on 020 8650 3332. By train… The major local over-ground stations are Beckenham Junction, a 15 minute walk, or Shortlands, a 15-20 minute walk.By bus… The following buses stop along Bromley Road, allowing access to the church via Crescent Road and Perth Road: 162, 227, 367. By car… There are no on-street parking restrictions around the church itself and we have a small car park which can be accessed from either Oakhill Road or Perth Road.